Berner, the hip hop artist and marijuana entrepreneur, sits with Vegas Cannabis Magazine and talks about cannabis and his exclusive strains here in Vegas. 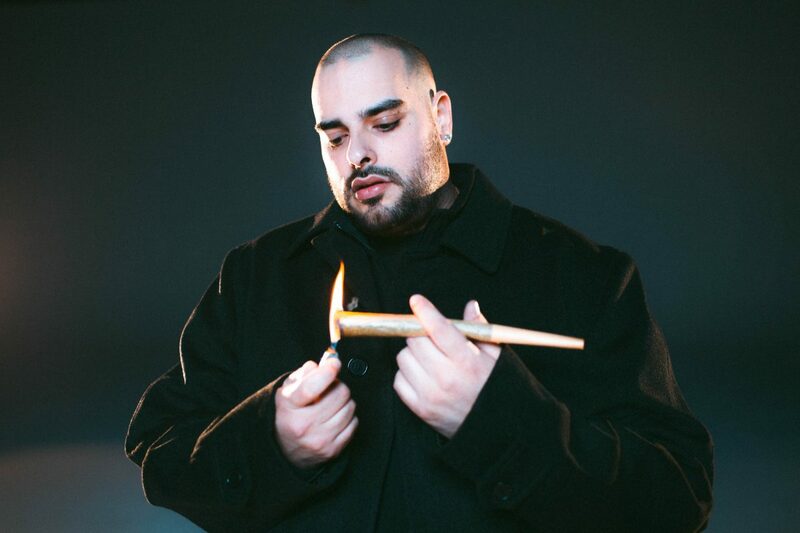 Rap artist and cannabis entrepreneur, Berner, recently partnered with Tryke Companies to launch his “Exotics by Berner” line at their local Reef DIspensary locations. Last month I had the chance to sit and chat with him about all things cannabis and here is what he had to say. Stephanie Shehan: Is this your first venture in Las Vegas? SS: What made you decide to partner with Tryke/Reef? Berner: I attended the Marijuana Business Conference where I met the Tryke team through a mutual friend. I immediately liked what they were about and they allowed me to come in and be hands-on. They are open minded and allowed me to give my input and suggestions. Many people in the cannabis world are stuck in their ways and the Tryke team was totally open to what I wanted to do. I saw this as a good opportunity. I have been in this industry for quite a while and I understand what is needed to run a successful cannabis business. Do you intend to use your influence in California to bring business to Las Vegas? Berner: Many people outside of Las Vegas are unaware of how quickly the industry is moving. I feel that I have a good connection, especially with the California market and since Nevada has reciprocity, it is a good opportunity for me to bring my audience to Vegas. Through social media and our mini-series that we just released on Vegas, it is my intention to let everyone know what is going on here and that they can visit, bring their recommendations and shop our local dispensaries. It is all about educating the audience. How involved are you going to be with Tryke and Reef Dispensaries? Pretty hands on. I am spending a lot of time here strategizing and putting in the work to build a successful business model. Will the Berner Exotics line be exclusive to Reef or are you going to offer it to other dispensaries to carry? Some will be exclusive but our intention is really to bring good medicine to everyone in Vegas so we will allow some of the line to be carried at other local dispensaries. One of the cool things that I found out about Vegas is that you can wholesale here. Will the Berner Exotics line include concentrates or will it be only flower? Initially we will roll out only flower in the Berner Exotics line but we do have future plans to include concentrates. What about RSO or FECO? Do you have plans to produce cannabis oil for our local patients? We have talked about dedicating space to make oil when we build out. We know that patients need access to good medicine and oil is definitely in our future plans. What are your thoughts on cannabis as medicine? Of course cannabis is medicine. Those of us that smoke cannabis know it is medically beneficial. I myself starting using cannabis for anxiety and now I use it in the morning to combat occasional depression. I travel a lot and I deal with a wide array of people. I have a lot on my plate, from music and clothing to my cannabis ventures and being a father. Sometimes trying to handle all of it can bring on some anxiety and occasionally depression. A nice sativa in the morning is uplifting and can immediately raise my spirits. I have witnessed the medical side of cannabis firsthand, budtending at age 18, I encountered patients with AIDS, Parkinson’s, cancer and other debilitating conditions. Cannabis helps with anxiety, depression, mental anguish and stress – it is real medicine, it works wonders. I want it to happen. As a person, I should not have to be paranoid about possessing a plant that I use as medicine. There are certain cities that I will not perform in anymore because if I get caught with cannabis, I am going to jail. I don’t consume alcohol, I am a businessman and a father, I live my life the right way. In this day and age, consuming cannabis is just something I should not have to worry about. Do you think cannabis will go recreational in Nevada? Yes! I think Nevada will be the next state to go recreational. Las Vegas is the perfect market and most promising place for legal cannabis. How do the dispensaries and cultivations in Nevada compare to what you have seen in California? I have never seen anything like what I have seen here in Las Vegas. California has seen similar business roll outs and plans but Vegas is doing things on a much bigger scale. And, the laws and regulations are setting Nevada up to be the model for other areas. Do any of the other companies you are affiliated with plan to move into the Nevada market? I work with California’s Finest and I know we have a deal in the works here. We may also open a Cookies standalone store in the future. The Berner Exotics line is available at Reef Dispensaries, located at 3400 Western Avenue in Las Vegas and at 1366 W. Cheyenne in North Las Vegas. For more information, visit Reef online at www.reefdispensaries.com.